Video Wall Manager software, which is available for free, enables display color adjustment using color sensors, and data control and management using a PC. If you upgrade to the Auto Display Adjustment Upgrade Kit (TY-VUK10, optionally purchased), you can use compatible cameras* for automatic adjustment of brightness and color balance for multi-screen configurations. All color adjustment can also be controlled from the PC, and video wall data can be managed. 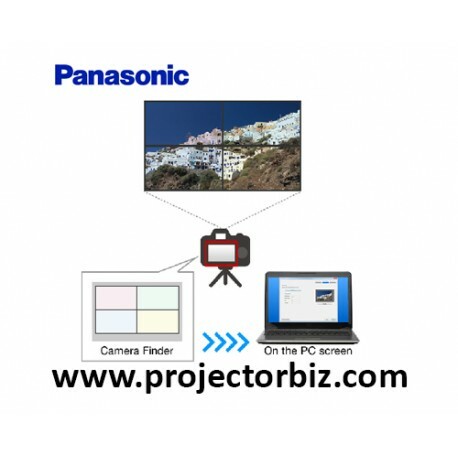 Use an externally connected camera to automatically adjust the colors and brightness levels of multiple displays that are flush-mounted to form the multi-display.